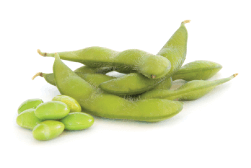 Fungicide makes a difference even in 70 bushel soybeans. Applications of a fungicide plus an insecticide added over 5 bushels to already 70 bushel beans. If you made a fungicide application this year, pay attention to each variety’s response. 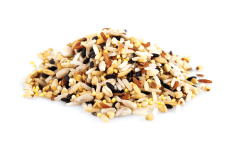 Some varieties do respond differently. Hello everyone! For the most part we have finished scouting for 2014. The main issue I’ve seen during this pre-harvest pass is stalk quality. Anthracnose came in late and has done a lot of damage across the region. Nitrogen deficiencies from elevation or nitrogen management are other causes of poor plant health. So again, I must reiterate the importance of keeping an eye on stalk strength and health when making harvest timing decisions. Thought you were done scouting fields? 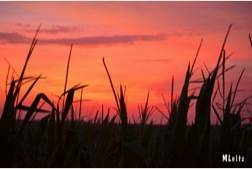 Generally, as your corn reaches black layer the risks from pests and diseases diminishes dramatically, but not when it comes to stalk rots. I’m sure some of you have noticed fields that have prematurely died. Those are the fields you should take a walk in. Hello! We are starting our 3rd trip through corn this week. I have noticed two things in the corn I have scouted. One is the presence of ear molds, the other is anthracnose in the upper part of the plant. The yield checks we are very good. Ear consistency is very good with size differences occurring in different soil types. 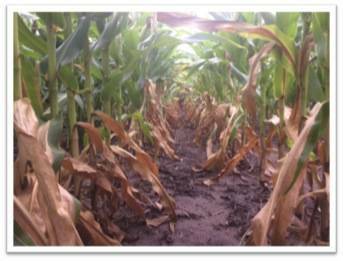 Low areas and low CEC areas are showing nitrogen deficiencies and that’s where I am seeing stalk issues. Below are examples of anthracnose and different ear molds. 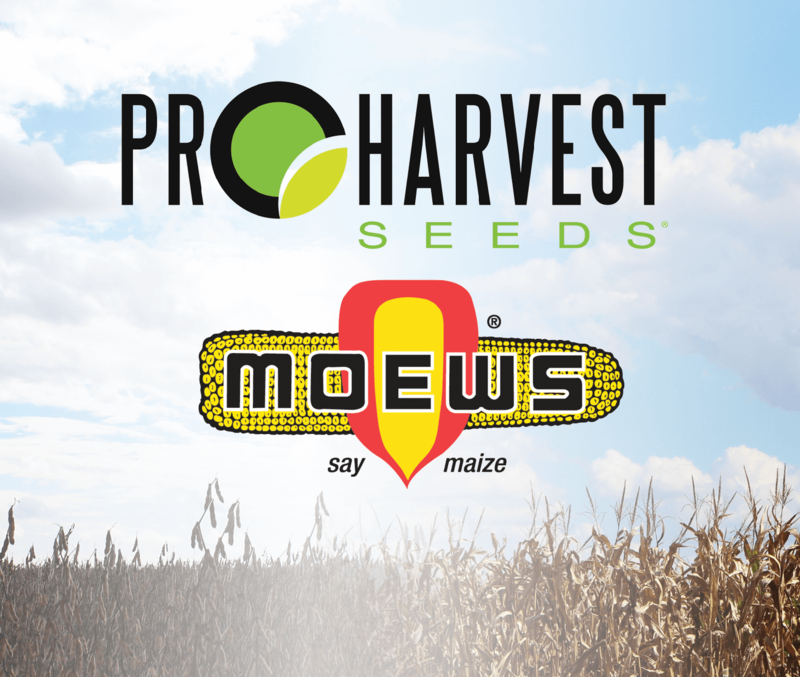 Let ProHarvest Seeds help you with your 365-day yield strategy. Hello everyone! We scouted corn in the Taylorville, Palmer, and Modesto areas this week. Plant health looked good with or without fungicide. 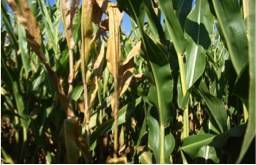 Corn that was sprayed with fungicide had little Gray Leaf Spot above the ear. How will that effect yield is yet to be determined. The average growth stage for the area is ½ to ¾ milk line. According to the charts we have another 1-2 weeks before black layer. Yield estimates are very good. I scouted corn fields near Hoopeston this week that were planted the end of April. The corn was in the late dough stage, not too far from denting. More corn leaf aphids are showing up, but they shouldn’t be a problem in corn with adequate moisture after pollination. 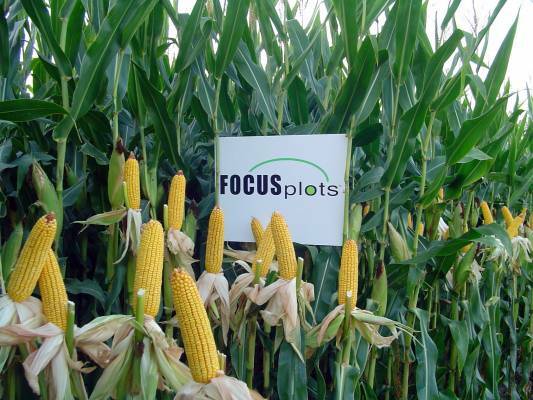 I scouted corn fields in the Streator area this week. Disease pressure has increased slightly in the past two weeks. I could see differences by hybrid at this point. Gray Leaf Spot and Common Rust are the two main diseases that I’ve found, with Northern Leaf Blight spotted occasionally. Corn leaf aphids were the most prevalent pest I found. 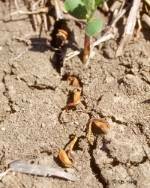 I did see a few rootworm beetles and Japanese beetles. Below are some pictures I took of corn leaf aphids and an explanation of what this pest can do to corn. I scouted corn in Iroquois and Kankakee County this week and I didn’t see anything that caused concern. Insect numbers and disease pressures are low. Most applications of fungicide have been sprayed. 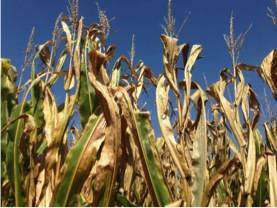 Some fields are showing signs of nitrogen loss. I scouted soybeans this week and found bean leaf beetles. They are a quick little insect and very hard to find. As soon as they sense your presence, they fall to the ground. I entered the fields and immediately noticed leaf feeding. The feeding reminds me of what a shot gun blast would look like, having numerous small holes. I found many of them in the upper most node, feeding on the new growth. They like cooler weather and this cooler weather has them out more during the day. Late morning or early evening are normally the best time to find them. 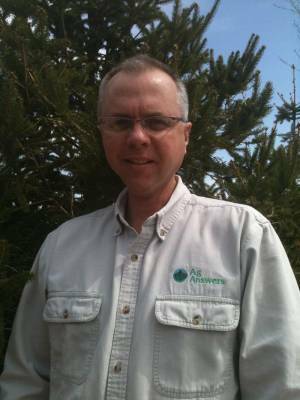 Fungicides prevent infections better than they cure infection. If spores land on a plant that has already been treated, they will be killed as they start to infect. If a plant is treated after infections are about more than 3 days old, these infections will continue to develop into lesions. Effective disease control requires that the plant be treated just as the disease is becoming established. The diseases shown on this page are what I consider the main three major leaf diseases. I have been scouting in the Taylorville, Modesta, Atlanta, and Streator areas and have not seen anything that concerns me at this time, however, circumstances can change quickly. Please keep an eye on your crops. This is what I saw most of last week. 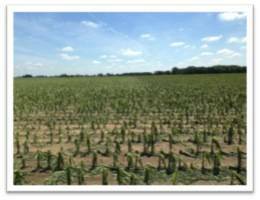 I also started to see the long term effects of water saturation in corn fields. 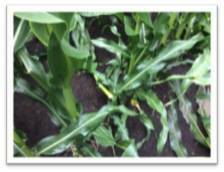 The results are yellowing corn and stunted plants. The excessive water in most areas has caused much of the nitrogen to be leached out of the soil. Nitrogen and fungicide management will be important tools this growing season. Saturday night’s storm that hit Iroquois County left a path of destruction unlike any I have ever seen. 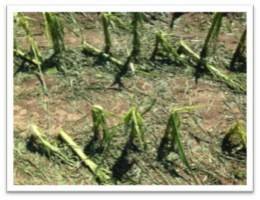 If you were anywhere near a storm in the last week, you should check your corn fields for green snap or hail damage. 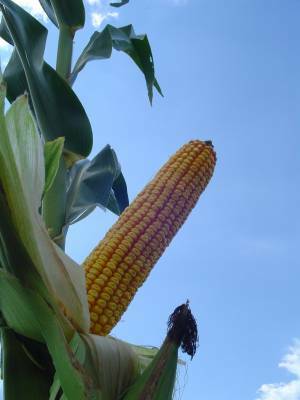 Corn is growing very fast and is extremely brittle. 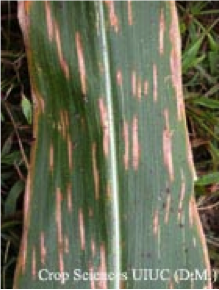 I saw the first signs of leaf disease this week, including holcus leaf spot and rust. I did not see anything that worried me, but it should be something to keep an eye on in the coming weeks when decisions are being made about applying fungicide. I was down in the Taylorville, Illinois, area this week and I saw a lot of leaf feeding from nymph size grasshoppers. Weed pressure is gaining momentum. Growing conditions are perfect with the rain and warm weather. 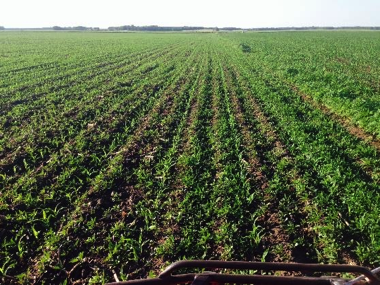 While these conditions allow the corn and soybeans to grow, so do the weeds. My first week of scouting was in the Crescent City, Hoopeston, Ashkum and St. Anne areas. I looked at corn that had been planted around the 3rd week of April. I started on Tuesday morning and found plants that were damaged and yellowed. By Wednesday evening, good color had returned and everything was improving quickly. Many people were questioning whether to replant or how much to replant. However, plant populations were very good. Target populations were being reached, except in areas where there had been excess standing water. Pythium; Damping-off is the first seedling disease to occur in a growing season because this fungus prefers cold soil temperatures. 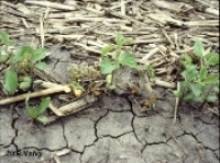 Dead seedlings may be visible on the ground with infected plants killed before the first true leaf stage. Plants often have a rotted appearance. Leaves of infected seedlings are initially gray-green and then turn brown. A few days later, the plants die. Diseased plants are easily pulled from the soil because of rotted roots. Location, location, location may be the number one priority when purchasing real estate, but location, location, location could also be a farmers number one priority when the planter rolls. Seed location or depth is at the top of the list in planter performance. Harvest is slowly getting started! Early results of ProHarvest products have been great, with reports of 3066CR2Y soybeans "the best beans I have ever raised", as well as strong reports on 8023StaxRIB corn. Early test plots are confirming the performance of 8330 and 8388 as well. It appears that harvest speed will increase quickly next week. 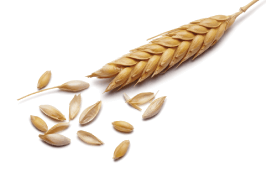 At ProHarvest, we do ask that you take some time and make sure this is a safe harvest for all!